ecoTub Solutions can renew the shine in your bathroom in an environmentally-friendly manner. Your bathtub, shower, sink, and even hot tub can look like new again! ecoTub Solutions is a reliable and eco-friendly Bathtub Restoration Company that offers professional bathtub refinishing. We are also experienced in professional tile installation , bathroom remodeling, and residential plumbing services. We offer a wide range of services and choices for bath tubs, shower enclosures, whirlpool tubs, plumbing fixtures, vanities, sinks, faucets, handles, tile, and toilets. ecoTub Solutions has a great team that can get the job done right and within budget. We can design payment schedules that coincide with the construction schedule to suit your needs. Our mission is to conserve environmental resources – and maintain the bathrooms of residences, hotels, motels, and area condos – by refurbishing what is already in place. Our methods of eco-friendly Bathtub Restoration keep bathtubs, fixtures, and sinks out of crowded landfills. 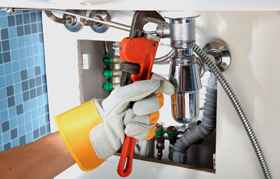 We perform reliable and affordable residential plumbing installation and upgrades. ecoTub Solutions’ experienced plumbing service technicians use the best installation practices for all major brands of residential plumbing equipment. In the event that a bathtub is damaged, cracked, or severely worn – it cannot be resurfaced by our normal eco-friendly processes. A professional re-glazing is recommended. A low-VOC option for bathtub coating can be offered to clients who want to save their existing tub and fixtures. Whether bathtub restoration, bathroom remodeling, tile installation, or plumbing services – we guarantee all of our work. Our service area covers Hawaii to Florida. We have a crew ready to serve you! We restore etched, peeling, and vintage bathtubs to look like new again. Professional removal of worn anti-slip patches and installation of The Anti-Slip Solution. If cleaning and restoration is not enough, we also offer a Low-VOC bathtub coating option. 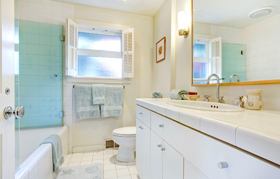 We repair and restore existing tubs, tile, fixtures, and scratched glass surfaces. Stain removal makes your porcelain, tile, or stone finishes look new again. We clean and shine glass shower doors, shower enclosures, and worn fiberglass shower pans and surrounds. We perform professional installation for your complete bathroom remodel with your choice of new or used tubs, sinks, showers, toilets, and fixtures. We can give you a beautiful and more energy efficient bathroom to enjoy for many years to come. 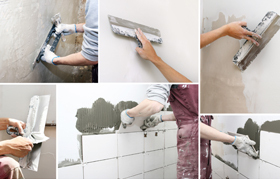 We offer experienced tile installation and repair services. Whether you need grout replacement, scratches and chips fixed, or new sealant application to your marble, stone, or tile surfaces – we can help. Professional tile installation for kitchens and bathrooms. ecoTub Solutions Plumbing Services include installation and repair, replacement of kitchen and bathroom fixtures, as well as plumbing system maintenance. From shower heads to toilets to pipes to leaks – our licensed plumbing technicians are your residential experts. Cleaning, restoring, repairing, and waterproofing services for your poolside deck, concrete, stone, wood driveway, and balcony surfaces. We also perform careful cleaning and restoration of boat decks and hulls. 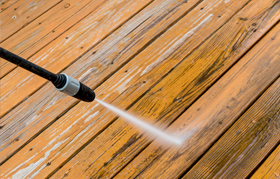 We offer professional pressure washing expertise.